The city of Antwerp is well-known for its stunning sights and attractions as well as its delicious local food products. In the 16th century the city was noted for the abundant wealth of its residents and there are still a number of architectural sights that date back to this period. Take a tour of the city and the rich history will become even more apparent. Today, visitors flock to this fine destination both on business and for a personal getaway. It has developed quite a name for itself in the tourism industry with all standards of hotel accommodation in Antwerp; there are Antwerp accommodation offers to suit different budgets as well as the many attractions and activities. Taking a walk around the city from your Antwerp hotel accommodation will reveal sights and historic buildings around just about every corner! There is always an opportunity to learn about the local history and really experience the fascinating culture of this busy city. The Central Station in Antwerp is not only an attraction for its stunning architectural value but, just like similar stations around the world, it is the place to go if you want to make a trip to another town or city in Belgium. A train ride will leave you free to relax and enjoy the ride without having to pay attention to the road. It is also a cost effective way of travelling from town to town and getting the full local experience. 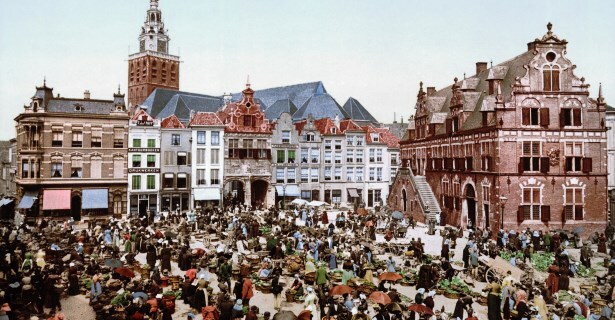 A must for every tourist is a walk through Grote Markt. This square is located at the very heart of the old city and it is as authentic as it gets! If you visit during the winter, you will most likely smell the scent of mulled wine everywhere and the ice skating rink is a popular activity here. Summer or winter, you could always take a break from walking around and enjoy a meal or drink at one of the restaurants or bars in the square close to central Antwerp accommodation as you enjoy your surroundings. In terms of local history, an increasingly popular attraction is the Red Star Line Museum. This museum will give you a better understanding as to the role of this city in terms of Europeans making their way to America. Apart from the learning opportunity, there are also lovely views, a fine restaurant and it will give you a chance to explore the docks a bit as well. Antwerp, as mentioned previously, is known for its delicious foods, sweets and chocolates. Make sure that you stop at least once to enjoy a cup of coffee or tea with a sweet treat of your choice. You won’t regret it! You will also notice a large number of jewellery stores as you tour through the city, close to downtown Antwerp hotel accommodation. If you do choose to make any more expensive purchases, you might want to do so on your final day so that you know you won’t exceed your budget. There are plenty of finely crafted items to tempt you so be sure to pace yourself. For that city mall experience, make your way to the Shopping Stadsfeestzaal. Alternatively, you can visit the Criee market. You will find plenty of produce here which is great for those who have selected a form of self-catering accommodation in Antwerp. It’s also quite close to the Central Station so it’s not far out of the way either.